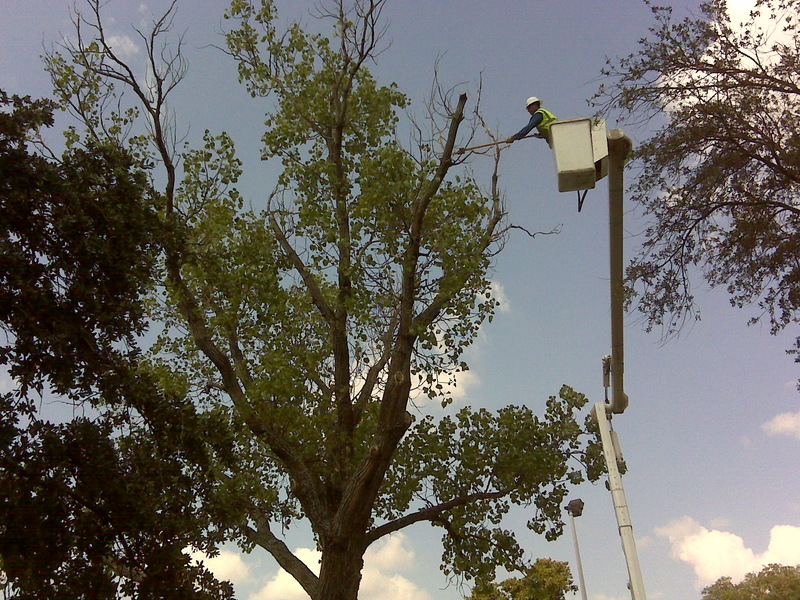 A tree trim consists of removing branches that hang too low, cross/rub against each other, and/or do not conform to the shape of a particular type of tree. 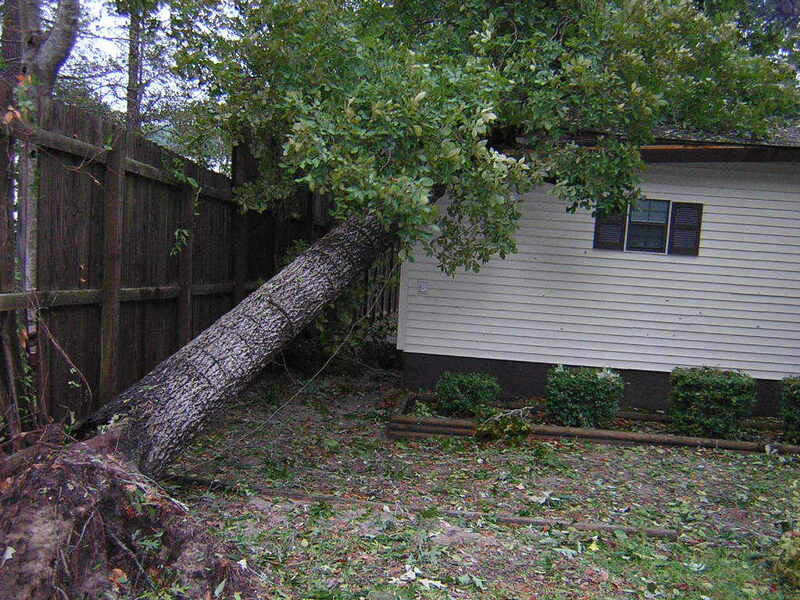 Also, branches may be close to utility lines, roof tops, windows or buildings and could cause property damage or injury. Pruning produces strong, healthy, attractive trees. It improves air flow between and allows sunlight penetration. Pruning reduces or eliminates potential hazards and reduces the chances or the amount of damages during strong winds or storms. Pruning for health involves removing dead, diseased or insect-infested wood, thinning the crown to increase airflow and reduce pest problems, and removing crossing and rubbing branches. See example of before and after pruning. Storms, winds and lightning may break limbs or may cause an entire tree to split or fall and tree removal service may be necessary immediately, especially if they land on homes, rooftops, fences, vehicles, etc. Having a downed tree can affect traffic conditions, cause injury, or cause problems if near utility lines (contact your utility provider if a tree is close to or on a high voltage power lines, contact us for work around service wires). Deseased, dead or dieing trees may be a hazard as well. Stumps are unattractive and a safety hazard. 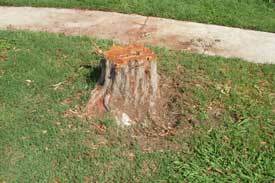 As a stump dries out, it becomes a home for insects or other pests and known to spread diseases to healthy trees. 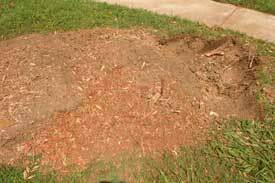 Stump grinding is the most effective way to get rid of those unwanted tree stumps and roots. Digging it out can be difficult, could take an entire day and leave a large hole. Why go through the expense of having stumps removed from your property when you can grind them down below the surface? This allows for repair and replanting of the area. We are ready to respond to emergencies in the State of Texas. Our crew is experienced and prepared for these occasions. Contact us for more information. We offer utility line clearance to utility companies/electric cooperatives and municipalities. 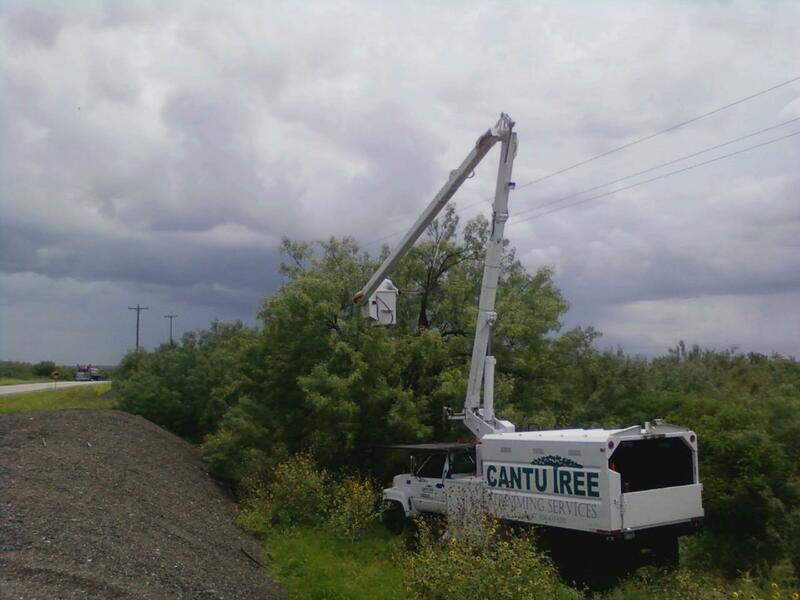 We have the necessary equipment and experienced employees that are ready to respond to storm emergencies. Contact us for more information. Also, we provide electrical service line clearance for residential and commercial customers (service wire runs from utility pole to home). Contact your utility service provider for trimming around high voltage power lines (wires that run from pole to pole). Call, text or email for information and pricing. Visit us on Facebook to view work we have completed.